Q. How do I get to Consumer Reports Online? I used to be able to get there from the web interface. Now I get taken to a EBSCO site that offers me the opportunity to look at magazines. We recently changed magazine vendors and our new one, Flipster, offers issues of Consumer Reports magazine, Consumer Reports on Health, and the Consumer Reports Buying Guide for the last two years with no waiting. We also have back issues of Consumer Reports to 1985 in the database MasterFILE Premier. 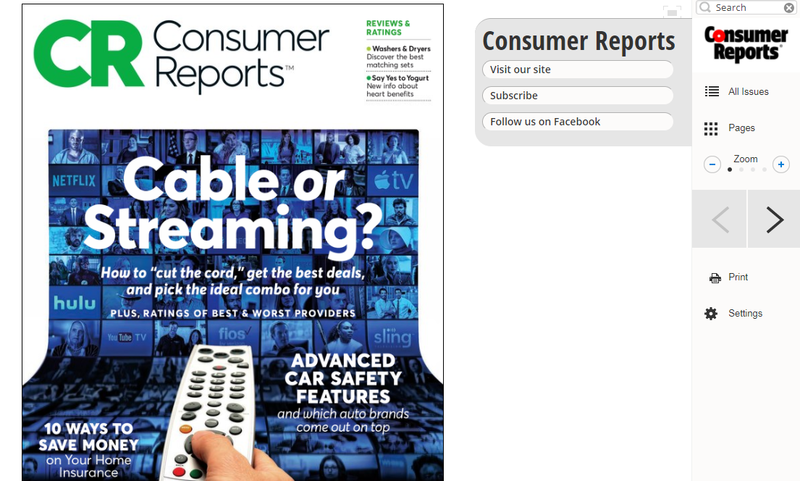 All Consumer Reports content is searchable in our catalog.